Stop the Bleed is a national awareness campaign and call-to-action. 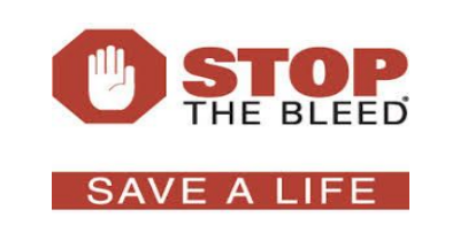 Stop the Bleed is intended to cultivate grassroots efforts that encourage bystanders to become trained, equipped,and empowered to help in a bleeding emergency before professional help arrives. Blood loss is the leading cause of preventable death in multiple casualty events, like mass shootings, terrorist attacks and earthquakes. Significant external bleeding can also result from everyday events such as a motorcycle crash, or industrial accident. Rapid control of bleeding at the scene of the event can be life-saving. That’s why we’re teaming up with volunteer coordinators Matt Alford, April Ingle, and Edmonds-based Disaster Medicine Project to train MP families to be informed bystanders. This free 1.5 hour course teaches basic life-saving medical interventions, including a brief Active Shooter preparedness presentation and methods to control bleeding. Understand the principles of your response during an active shooter event. Demonstrate wound packing and learn about topical hemostatic dressings. If you are interested in signing up for this event, please contact April Ingle at stopthebleed.shoreline@gmail.com . We have space for 30 participants (adults only please). Our intention is to offer this monthly for the rest of the school year, so if you don’t make this class, you will be first for the next one on May 9th. We look forward to serving you and strengthening our community!